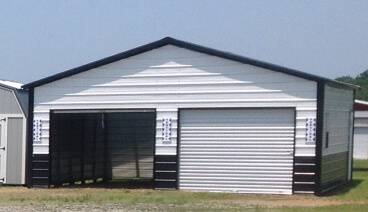 From a simple carport to a large agricultural barn, we offer pole buildings to fit every need! 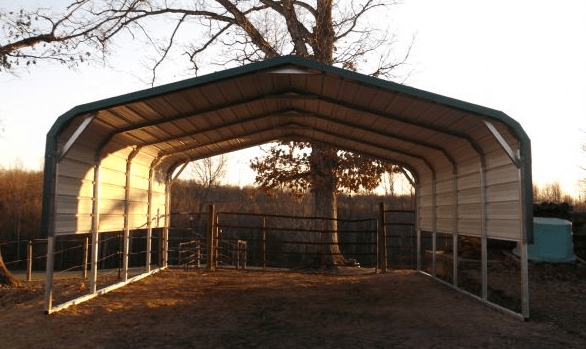 Featuring strong, durable construction, along with custom features, our steel pole barns can be configured to your exact specifications and assembled at your site in a fraction of the time of traditional buildings. 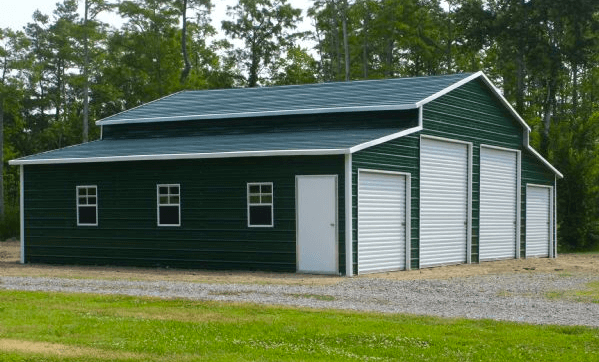 Starting at just $895, these buildings are perfect for uses such as Carports, RV & Boat Storage, Garages and Workshops, Barns, Agricultural and Combo Units. 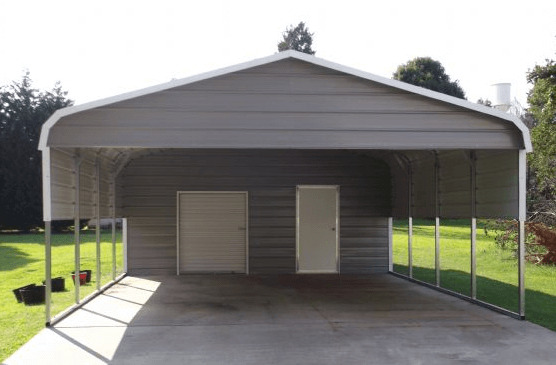 While Liberty Storage Solutions does not build carports, we work with the finest companies available to provide extra products for our customers. 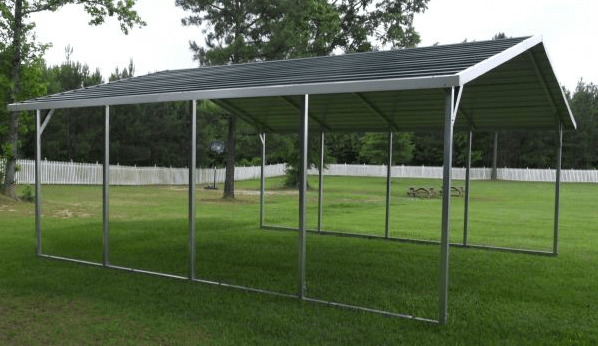 Constructed using 14-guage galvanized steel framing and 29-guage steel sheeting for superior strength and durability. 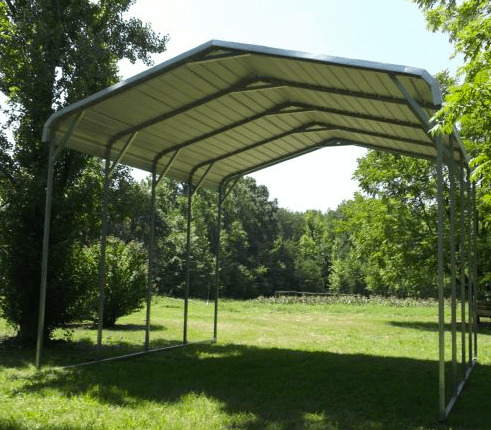 Framed with G-120 rated steel 2.25 x 2.25 tubing with a super strength (70,000) tensile strength. Processed with a Flo-Coat that provides three layers of protection for the painted steel. 2"x3" framing offered as an option for additional structural integrity allowing clear spans up to 40 feet wide. Materials made in the USA! 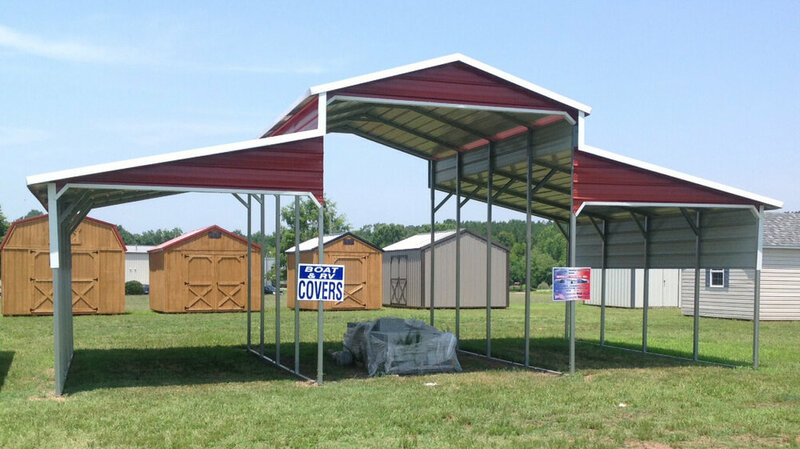 Rent-to-Own options may be available for carports at our Liberty Storage Solutions lots! Simply provide a 15% deposit on the total price of the structure. Then, make payments for 36 months as described in the Rent-to-Own program details. Click here to visit the Rent-to-Own page. See your local dealer for additional information. *Carports may not be available at Authorized Dealer locations. Click here to read the Newmart Disclaimer.